Jane Frances Kaczmarek is an American actress. She is best known for playing the character of Lois on the television series Malcolm in the Middle. Kaczmarek is a three-time Golden Globe and seven-time Emmy Award nominee. She lives in San Marino, California. Kaczmarek was born in Milwaukee, Wisconsin, the daughter of Evelyn, a teacher, and Edward Kaczmarek, a defense department worker. She grew up in Greendale and is of Polish ancestry. Kaczmarek was raised as a strict Roman Catholic. She majored in theater at the University of Wisconsin–Madison and later studied at the Yale School of Drama for her graduate degree and was a part of its theater company. In 1998, Kaczmarek was cast as David and Jennifer's mother in the movie Pleasantville. She has had several Broadway hits, including Lost In Yonkers and Raised In Captivity, where she won an LA Drama Critics’ Award. Her first television role was that of Margie Spoletto on For Lovers Only . Her first major role was that of Linda Bauer on Equal Justice from 1990–1991. Nurse Sandy Burns on St. Elsewhere . The voice of Judge Constance Harm in eight episodes of The Simpsons between 2001 and 2010, namely "The Parent Rap", "Brawl in the Family", "Barting Over", "Brake My Wife, Please", "The Wandering Juvie", "On A Clear Day I Can't See My Sister", "Rome-old and Juli-eh", and recently "Chief of Hearts". 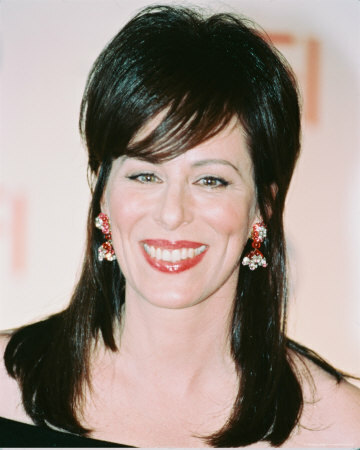 In 2000, Kaczmarek was cast to play Lois Wilkerson in the FOX mid-season replacement Malcolm in the Middle. TV Guide dubbed her role in the series as a "true breakout; a female Homer Simpson", and critics hailed her for her comic talents. Later, Kaczmarek would credit the show for bringing out her comedic side, claiming, " I couldn’t even get auditions for comedies. I played very unfunny people." Kaczmarek was nominated seven times for an Emmy for her performance on the show, one for every year. She also earned three Golden Globe nominations and two Screen Actors Guild Awards nominations, was honored with a Television Critics Association Award in 2000 and 2001, plus an American Comedy Award and a Family Television Award in 2001. Following the end of Malcolm in the Middle, Kaczmarek went on to star in the short-lived series Help Me Help You co-starring Ted Danson. , she starred in the hour long TNT series Raising the Bar as Judge Trudy Kessler. She also continues to voice Judge Constance Harm on several Simpsons episodes as mentioned above. On November 19, 2009, Kaczmarek played against Julie Bowen and Robin Quivers in the Jeopardy! Million Dollar Celebrity Invitational, on which she won $50,000 for a charity. In 2010, she starred in the Lifetime Original Movie Reviving Ophelia which aired October 11, 2010, she starred as the mother of a 16-year-old girl who was in an abusive relationship. On July 22, 2011, it was confirmed that Kaczmarek will make a vocal appearance as Red Jessica in the television series Jake and the Never Land Pirates during its second season early 2012. In 2011, guest starred the comedy Wilfred starring Elijah Wood. She has been to star in Whitney as Whitney's mother. Kaczmarek married fellow Wisconsin native and actor Bradley Whitford on August 15, 1992. They lived in Los Angeles with their three children: Frances Genevieve , George Edward and Mary Louisa . Both were very active with charity, and were seen attending many major award shows together. She is the founder of “Clothes Off Our Back” which auctions celebrity clothing for children’s charities. In June 2009, the couple filed for divorce after almost 17 years of marriage. One of the last times they were seen together publicly was in September 2008, at the opening of a Los Angeles production of The House of Blue Leaves, in which Kaczmarek was starring. According to a June 2009 magazine interview with More.com conducted prior to announcement of the divorce, she replied "That's a big no comment" when asked to sum up her love life. She also added that she used to believe that she could "“go it alone and as long as I had some fabulous boy on my arm, or man, and my career was sailing, that’s all I needed" whereas she now had grown to appreciate the support of her girlfriends "to talk about kids, to talk about marriages, to talk about just life". Kaczmarek underwent a hip replacement in April 2004, due to chronic arthritis She recovered quickly, and used an X-ray of her new hip for her Emmy campaign the following summer, advertising herself as "the only Emmy nominee with an artificial hip ". In 2006, Kaczmarek and Malcolm in the Middle co-star Erik Per Sullivan contributed the afterword for the children’s book, Together, that shows the importance of domestic animals to impoverished people in the world, and was inspired by the mission of the nonprofit charitable organization, Heifer International. Whole or part of the information contained in this card come from the Wikipedia article "Jane Kaczmarek", licensed under CC-BY-SA full list of contributors here.